Take a stroll along the Manuel River and take in a rich variety of plant and animal life. Manuels River is host to a number of different ecological habitats. 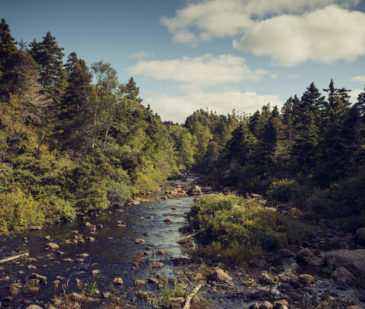 These include the river itself, riparian wetlands along the riverbanks, boreal forest both upstream and downstream, bogs and fens in the downstream wetlands, and at the end of Manuels River, a beautiful beach environment. Each of these habitats is host to a wide variety of plants. The boreal forest is found both up- and downstream and is home to a number of different tree types, including both evergreens (spruce, fir) deciduous trees (pin cherry, alder, birch). The riparian zone is host to many different types of grasses, reeds and small plants that includes edible wild mint. Moisture-loving plants such as mosses, carnivorous sundew plants, and numerous orchids are inhabitants of the downstream wetlands. Many animals also inhabit the Manuels River valley. Several different kinds of fish are found in the river waters, including brook and brown trout, American eels and sticklebacks. Birds are frequently seen in the air above Manuels River, including juncos, warblers, kingfishers, woodpeckers, ospreys and even bald eagles. 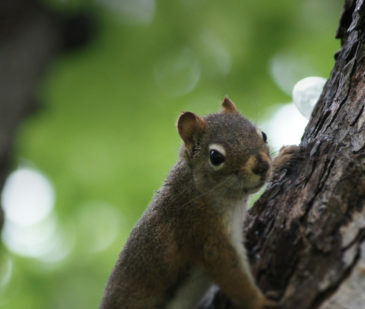 The river valley is also home to many land animals, including squirrels and chipmunks, snowshoe hares, American mink, and the occasional moose.